Pixar has been revealing info about some of their upcoming movies. While we knew they had films in the works about dinosaurs and a film set inside the human brain, we now know they’re called The Good Dinosaur and Inside Out. We’ve also got new concept art pics from the films and info about the voice casts. Raising Hope’s Lucas Neff leads The Good Dinosaur cast, playing Apatosaurus Arlo. The film is set in a world when an asteroid never made the dinosaurs extinct, so they now live alongside humans. After a traumatic event rattles the enormous Arlo’s (Lucas Neff) tranquil community, he sets out on a quest to restore peace, gaining an unlikely companion along the way in the form of a young human boy named Spot. Disney have revealed that Arlo’s Poppa will be played by John Leguizamo, Momma will be Frances McDormand and Sister Ivy is Judy Greer. Bill Hader and Neil Patrick Harris will be Arlo’s two older brothers. The film’s due out May 30th, 2014. Inside Out takes you to a place that everyone knows, but no one has ever seen: the world inside the human mind. Riley, an 11-year-old girl who recently moved with her family to San Francisco, is not the main character but the setting for the film. Moviegoers will go inside her mind to explore how memories are formed and how a mixture of five emotions- Joy, Disgust, Anger, Fear and Sadness – define life experiences. Amy Poehler is Joy, Lewis Black is Anger, Mindy Kaling will be Disgust, Phyllis Smith takes on Sadness, while Bill Hader is Fear. You can see the Five Emotions in the photo above. 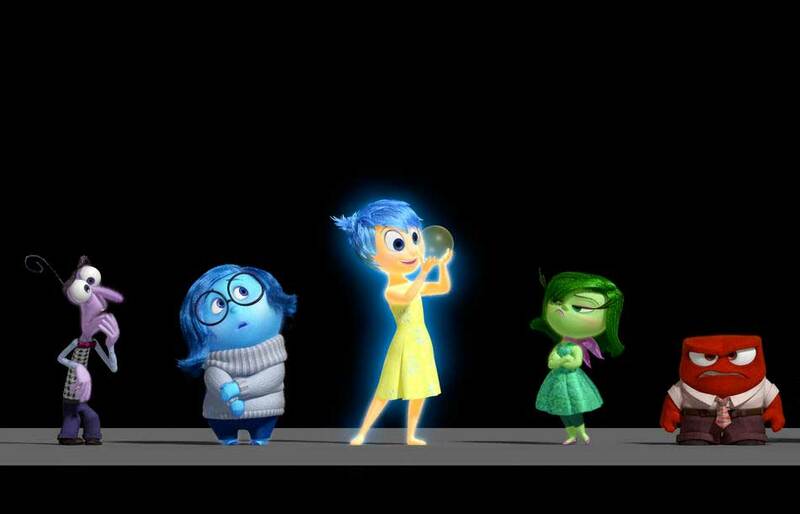 Inside Out should be in cinemas June 19th, 2015.